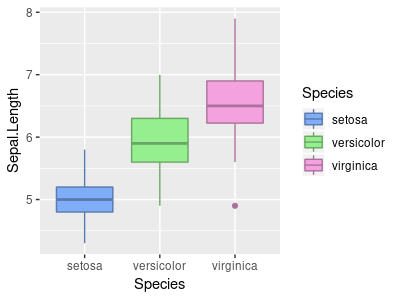 To generate less distracting boxplots it would be nice to have a similar color scale for fill and color. How can I achieve this without guesswork? If you want to have more control, you can convert the HEX to RGB and decrease all values of red, green and blue a bit. You could also convert it to HSV and play easier with hue, saturation, and the luminosity value by adding rgb2hsv to the pipelne and calling hsv instead of rgbat the end. 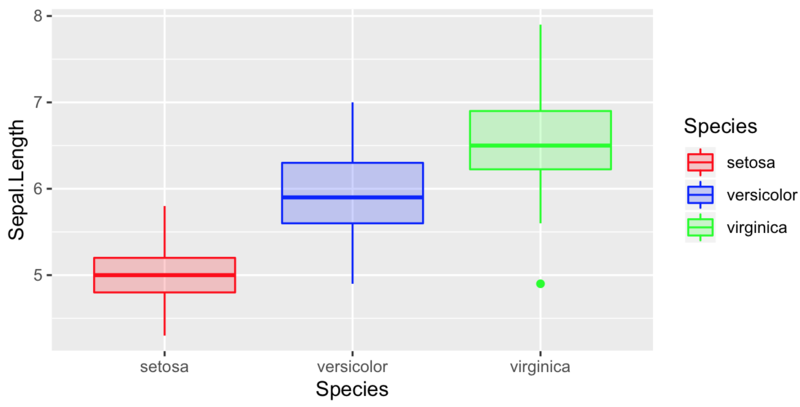 "*"(0.7) %>% # make each component "darker"
scale_*_discrete works with the HSL color space. We can just define the luminance manually. 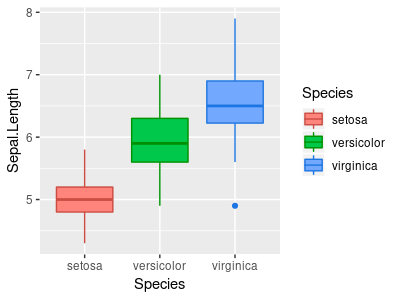 Boxplot, how to match outliers' color to fill aesthetics?